We offer horseback rides and pony rides as single rides or riding lessons through courses. 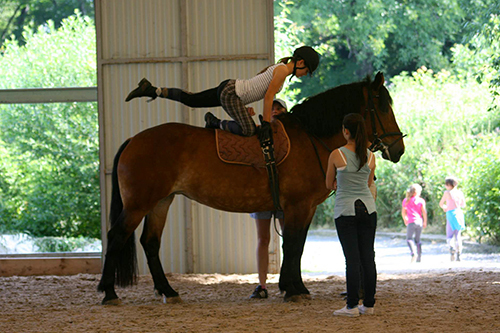 We lead riding lessons individually and in groups according to wishes and demands of the rider. For first riding lesson is quaranteed lending of riding equipment. 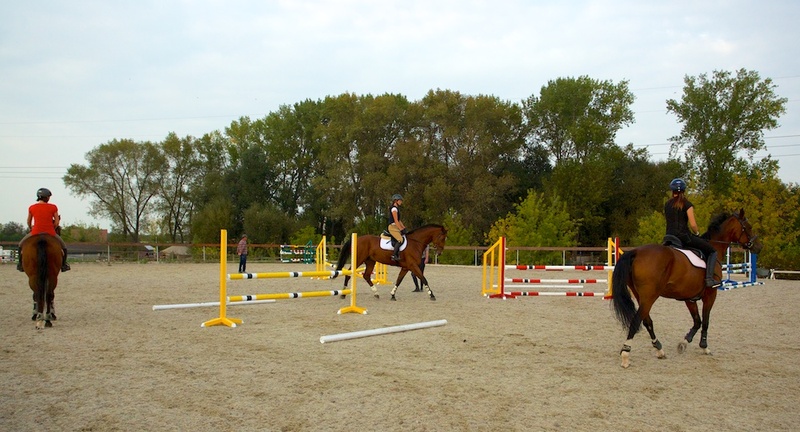 Another bonus for each member of the riding school is a discount card to store Dance and Jump. 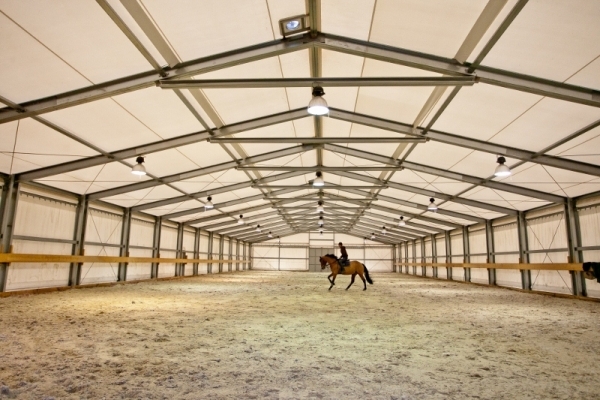 Vaulting helps you learn how to maintain balance in accordance with the horse, as well as general sporting prowess. For doing this sport you don’t need horse back riding skills, but vaulting riding can improve yours horse back riding abilities. 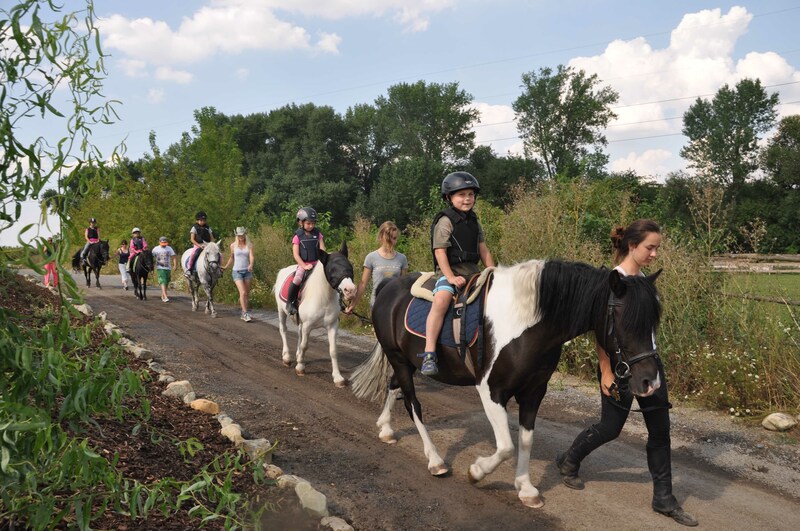 Rides for maternity centers, kindergartens and schools are held in the form of relaxing walks exploring our animals in our park. The program is customized for the age of the children and teaching them to be non-violent form of entertainment games.